December 12-22, 2014. HAYP Pop Up Gallery premiere. Elite Plaza, 4th Fl. 15 Khorenatsi St. Yerevan. In this collective exhibition, nine artists explore through different media and styles the relationship between context and perspective. What we see is influenced by how we see it. Our worldview is shaped by our culture, upbringing, and personal experiences. Each one of us has a unique perspective. The aim of this exhibition is to encourage dialogue, understanding, and open-mindedness through the artists’ creative looking glass. Changing the way you normally look at something forces you to reflect on what that thing actually is. Some of the artists take a more humoristic approach, distorting and reinterpreting our perception like in the works of Karen Mirzoyan, Peno Mishoyan and David Galstyan. While Aramazt Kalayjian offers a philosophical meditation, Ararat Minasyan, Lilit Umedyan and Sharis Garabedian invite us to take a second look at the forgotten objects of our environment. Finally, Scott Willis and Lilit Markosian explore the meaning of portraiture: is it physical semblance, or is it a feeling and personality? 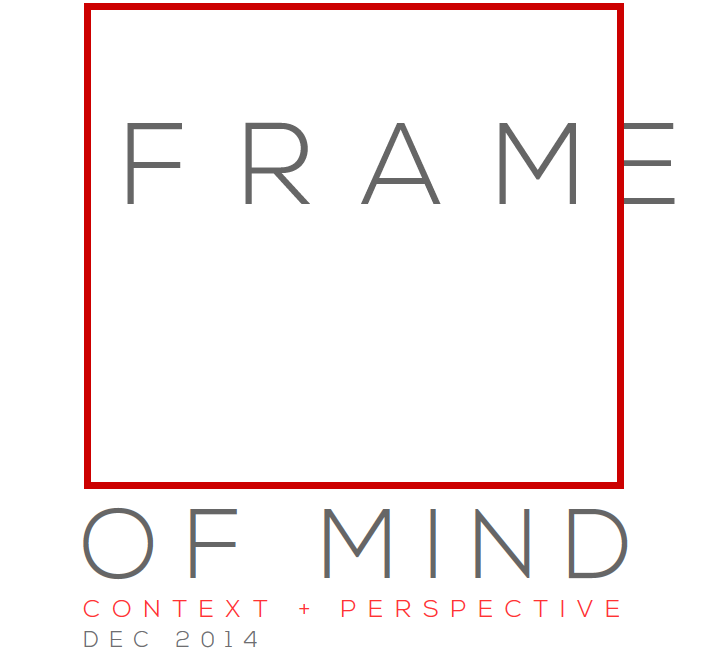 There are many ways to see, and we invite you to take a look for yourself; what is your frame of mind? Artists: David Galstyan, Sharis Garabedian, Aramazt Kalayjian, Lilit Markosian, Ararat Minasyan, Karen Mirzoyan, Peno Mishoyan, Lilit Umedyan, Scott Willis. Friday, December 18 @ 7:30 pm Private tour of the exhibition lead by the artists themselves. Limited space available. 9:30pm Live Concert by Middle Eastern Chillout, Tigrane Kazazian on oud and Hagop Mazloumian on percussion.